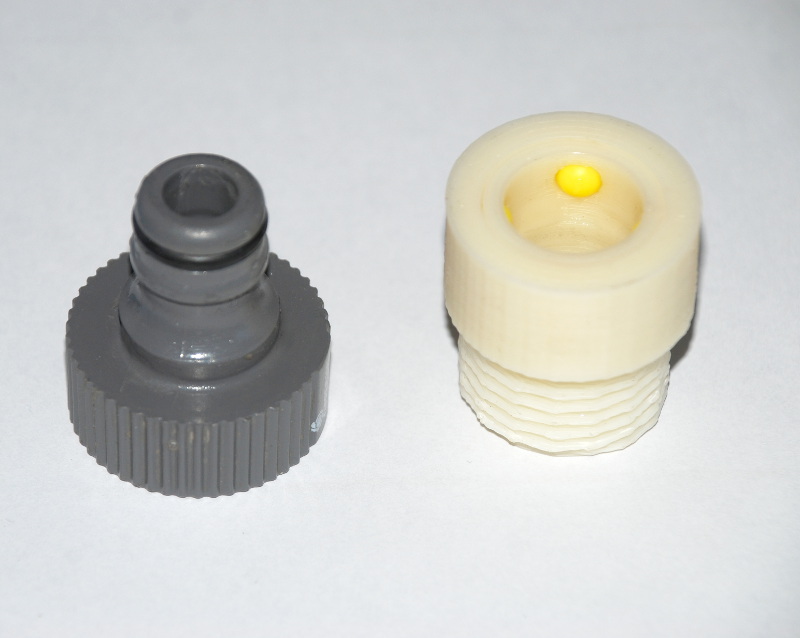 A push-fit socket for those semi-standardized garden hose quick connect things for 3/4" garden hose threads. It actually works and holds pressure. It uses four 6mm plastic airgun BB's as grip. 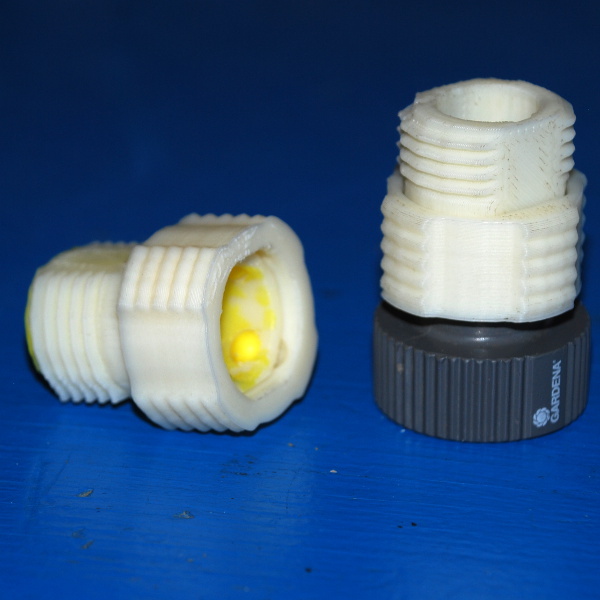 Print both pieces, one is the garden hose thread and socket, the other is the locking sleeve. Ream out the holes in the center part until the BB's can just barely protrude through the side, but not so much that they risk falling through. The locking sleeve can now be slid atop as an extremely tight fit, becoming loose again (though nearly unremovable) once the balls are fitting into the locking grooves. Paint the very end of the threaded section with ABS glue, where it would press against the hose washer, for the best seal. Clean up the small sleeve, paint the inside of the threaded section thinly with ABS glue, and force in the small sleeve. Wipe up excess glue before it dries. 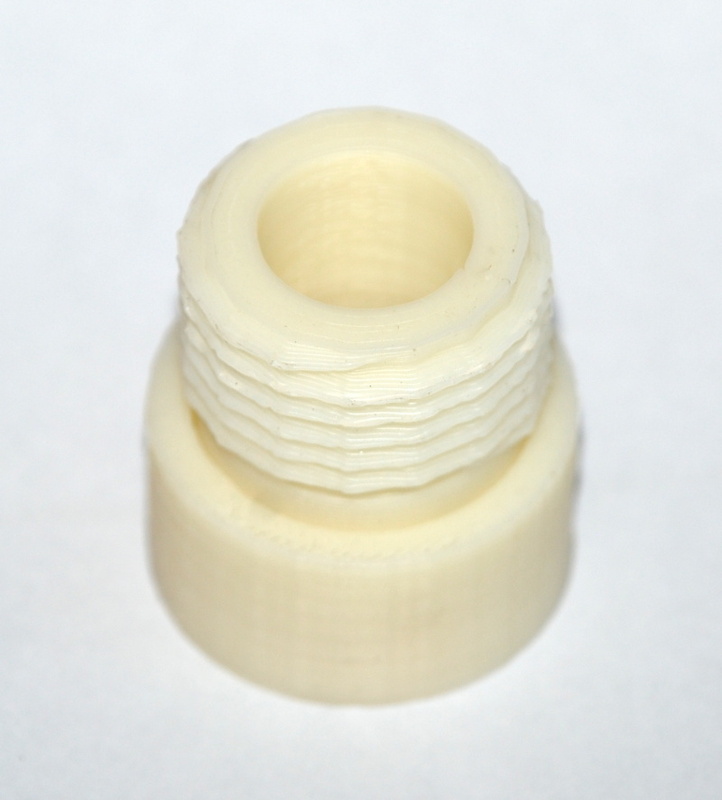 The vertically-printed sleeve will have a better seal than the horizontally-printed spindle. The locking grooves hold the BB's fast when the sleeve is in the locked position, preventing the other half of the quick-connect from leaving. pushfit-002.jpg shows it in locked position, with the sleeve down. Like most garden hose things, use proper hose washers to prevent leaks. Like most of my projects, the source SCAD requires util.scad. 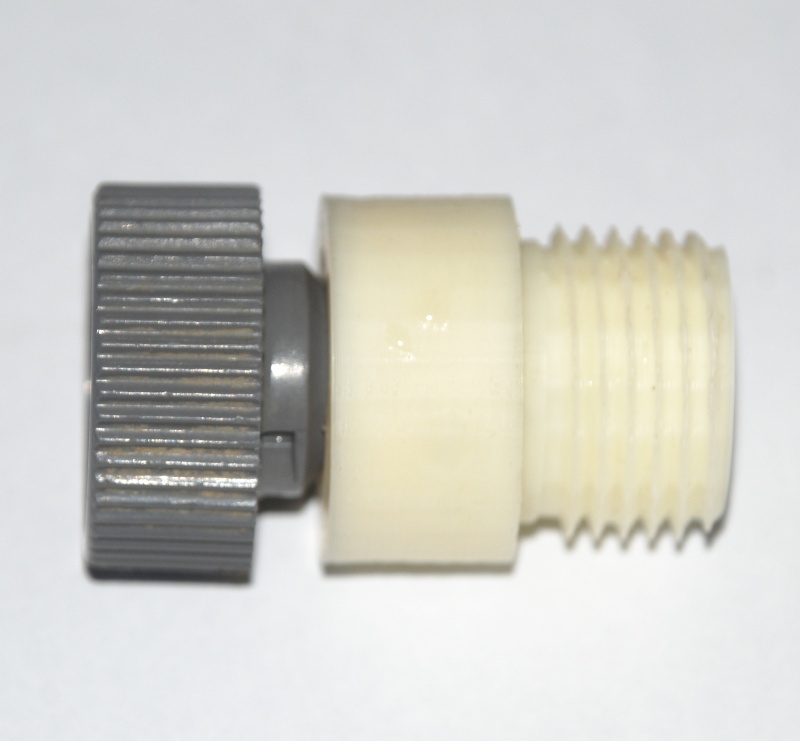 egh.stl is from "expandable hose male end" by vinfekshen on thingiverse.